The Hydra-Matic 6T70 (production code M7W) is a six-speed automatic transmission produced by General Motors for use in front-wheel-drive vehicles with a transverse powertrain orientation. Developed in-house by General Motors, the Hydra-Matic 6T70 is part of the 6TXX family of transmissions that succeeded the 5TXX family. The 6T70 is more capable and robust than GM’s 6T50, 6T45, 6T40, and 6T30 gearboxes. The 6T70 M7U is the all-wheel-drive variant of this front-wheel-drive 6T70 M7W. 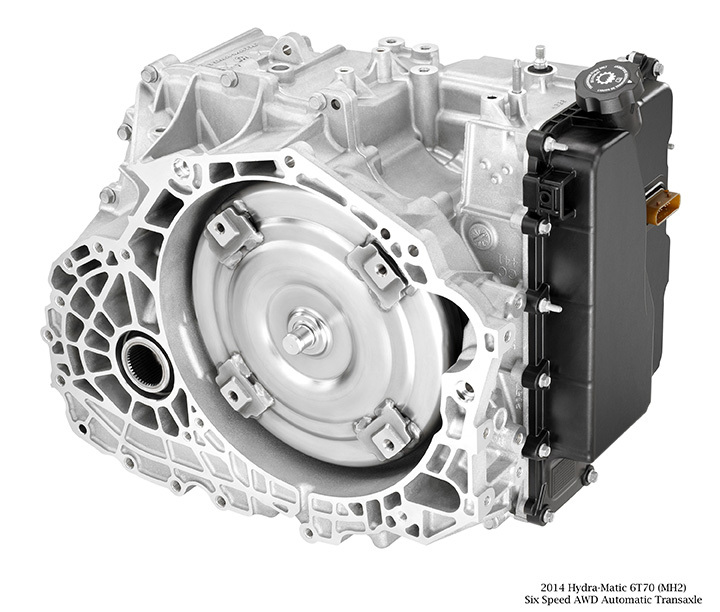 The Hydra-Matic 6T70 (MH2, MH4, M7W and M7U) and 6T75 (M7X and M7V) transmissions are part of GM’s family of technically advanced, fuel-saving six-speed automatics designed to optimize efficiency while delivering exceptional smoothness and an excellent feeling of performance. Because of the wide ratio spread, first gear is a very high ratio, which provides brisk acceleration from a stop. Sixth, however, is an overdrive ratio, which keeps the engine revolutions as low as possible for highway cruising, reducing engine friction losses and improving fuel economy. 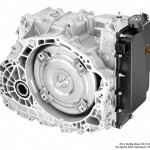 Instead of “folding” the transmission around the end of a transversely mounted engine, which has been one of the dominant GM transaxle design conventions, the 6T70/6T75 contains all of the gearing in line with the crankshaft centerline of the engine. The advantages of this layout can translate to a shorter overall vehicle length, more interior room and lower powertrain height. Three planetary gearsets are used with three stationary clutches and two rotating clutches, which save space compared to freewheeling designs. Freewheeling mechanisms allow perfect timing between shifts, but also take up more space and add more components to the transmission. However, due to the electronic controls, the clutch-to-clutch concept of the 6T70/6T75 delivers the same accurate shift timing. State-of-the-art dimensions enable spacious packaging and enhance potential safety design opportunities. In addition, styling opportunities for lower hood lines are also enabled by the compact dimensions of the 6T70 and 6T75. The 246 mm torque converter in the 6T70/6T75 uses a 258-mm single-plate lock-up clutch and features a “hyper-elliptical” oval cross-section shape. This design reduces the thickness of the torque converter, reducing the space it needs and keeping the overall width of the engine and transmission as narrow as possible, for packaging advantages. The single-plate lock-up clutch uses GM’s electronically controlled capacity clutch (ECCC) technology to help dampen engine vibrations and ensure smooth operation. A chain-driven, off-axis fluid pump provides hydraulic pressure for the shift events and lubrication. The pump features vanes that can vary its output, optimizing the amount of energy the pump needs to operate. Internal tests have demonstrated improved powertrain efficiency with the variable-capacity pump. To minimize gear noise, as well as vibration, the transmissions’ helical gears are ground and honed to ensure exact dimensions and tolerances. With closer tolerances, the gears are less prone to characteristic whining or humming, and the transmissions operate with exceptional quietness.